During the winter months, people tend to spend more and more time indoors. It's important to pay attention to the air in your home, and know whether you have a healthy Fort Lauderdale home, or one that could be responsible for making you sick. There are several things that could be responsible for you not having a healthy home. Mold, lead, a tainted water supply, or hazardous household products can all lead to a less than healthy Fort Lauderdale home. 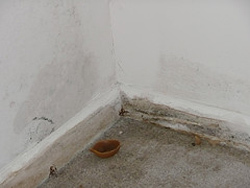 Mold, sometimes known as mildew, grows where there are wet or damp surfaces. To protect against mold, be sure your gutters are clean and not leaking, and that downspouts direct rainwater away from the house. Your yard should slope away from the building. Repair leaking roofs, walls, doors and windows right away. Water is insidious, and can cause problems if left to stand. That means anywhere, even in refrigerator drip pans. Mold is one of the most difficult things to get rid of from all the things on the list responsible for you not having a safe and healthy Fort Lauderdale home. Unlike mold, you can't see, smell or feel carbon monoxide, a deadly gas that can make you sick or even kill you. Signs of low-level carbon monoxide poisoning include headaches, nausea, vomiting, dizziness, sleepiness, tightness in the chest and difficulty breathing. Many people confuse it with the flu. Install carbon monoxide alarms near each sleeping area and on each floor. But to make sure they never go off, do not use the kitchen stove or oven to heat your house. Never use charcoal grills or run car engines inside your house, garage or basement — even for a short time. They produce so much carbon monoxide that even opening the windows and doors will not give you enough fresh air. Never warm a vehicle while it sits inside the garage, even with the garage doors open. Start lawnmowers, leaf-blowers and other yard equipment outside, never inside. Lead poisoning poses a serious health risk for children. Lead is not used as much in paint, pipes and other materials as it once was — lead paint was banned in 1978 — so houses built prior to 1950 are the most problematic. Public drinking water is safe, but if you have a well or other private water supply, it's up to you to protect yourself. And since you can't see, smell or taste potentially dangerous microbes, you should have your water tested about every two years for bacteria, nitrates and perhaps pesticides at a laboratory. Nothing can make an otherwise healthy Fort Lauderdale home unhealthy quicker than contaminated water. When it comes to hazardous household products, buy only what you need, and read and follow the directions. Properly dispose of what you don't use, or give the leftovers to someone who can use it. Never burn or dump leftover containers. Most of these tips for having a healthy Fort Lauderdale home come from the Department of Agriculture's National Institute of Food and Agriculture (nifa.usda.gov). You can find a whole list of other websites that specialize in making sure you have a healthy Fort Lauderdale home by searching "healthy Fort Lauderdale homes" on Google. Fort Lauderdale Mortgage Rate Outlook: Rates Rising? Fort Lauderdale Home Improvement Ideas: Ready, Set, Sell!